Similar to last week, conditions are still not entirely ideal for making huge decisions this week, but fear not, those of you stuck in ruts – some movement is afoot. Let’s get to the reading. Chinese-speaking friends, CLICK HERE FOR THE CHINESE TRANSLATION 中文翻译! LEFT: JUDGEMENT REVERSED. If you were hoping for some insight into a higher purpose this week, especially in your relationships and financial matters, you may not find the answers you seek for now – not because there’s necessarily anything wrong with the situation or yourself, but bear in mind that the Venus retrograde is happening at the moment, so delays and setbacks are to be expected. This week is a good time for you to think about your decisions but also why you’re making these decisions. Do you believe you deserve better? Have you finally had enough of an intolerable situation? Have you concluded that you need to do, say, or stop doing/saying something in order for things to improve? MIDDLE: SIX OF SWORDS. When this card appears, conscious disengagement from a stressful situation could be a beneficial move for many of you. Don’t be ashamed of your need for a time-out! It could be exactly what you need in order to formulate the solution you’ve been seeking. If you’re planning to travel this week, the Six of Swords heralds a smooth and successful journey. Hiccups, if any, are likely to be blessings in disguise. 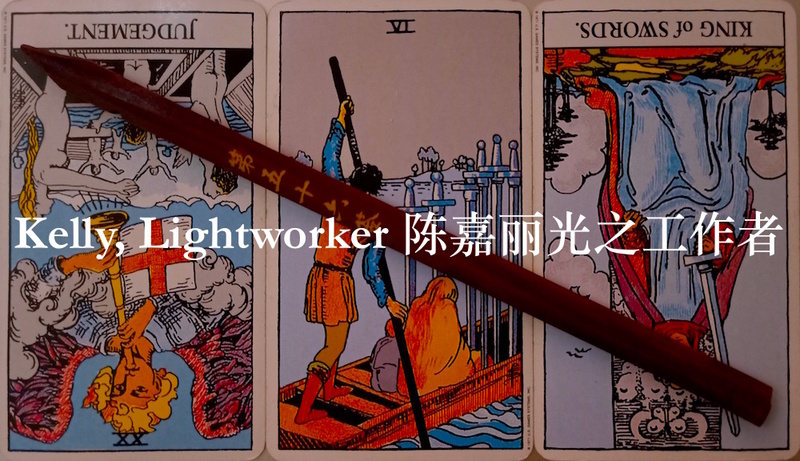 RIGHT: KING OF SWORDS REVERSED. Again, here’s a card reminding us that the decision-making process is not something to be taken lightly or rushed through. If you’re not feeling entirely convinced about the choices before you, saying I don’t know – I need more time is often a more viable option than you realise. This week, interpersonal energies are analytical and detached. You may find that people seem more focused on tasks than on relationships. Logic, clear communication, and thinking before you speak will get you through most gnarly situations this week. The bubbling stream flows over the little pebbles. Great men enjoy the breeze on a moonlit night. And do not be distracted by the scenery. This lot depicts the fate of one who chooses to focus on his own destiny, and advises you not to compare yourself with others who may be at different stages in their own journeys. When this lot is drawn, great things can be accomplished once you put in the effort. Release yourself from the compulsion of superficial beauty, vainglorious achievements, and/or envy towards those who have obtained what you desire. This may be a somewhat unglamorous week for many of you, but it’s also a week where immense potential for self-discovery beckons. And genuine success in life begins with knowing who you are, and what you stand for.